Move over kale and quinoa. There’s a new superfood in town: moringa. This nutritional powerhouse is loaded with a whole slew of vitamins and minerals capable of kicking your health into high gear while also helping to fight malnutrition throughout the developing world. Versatile and resilient, moringa has so many positive qualities it’s can be hard to keep track. Along with antioxidant and anti-inflammatory properties and hundreds of years of use in Ayurvedic medicine, moringa is packed with vitamins and minerals including potassium, protein, calcium, iron, vitamin C, and zinc. And not just in miniscule amounts. According to U.S.-based NGO Trees for Life, moringa contains seven times as much vitamin C as oranges, four times the calcium of milk, triple the potassium of bananas, and twice as much protein as yogurt. And as a complete protein, moringa contains all nine essential amino acids that humans cannot produce on their own. That’s a whole lot of plant-power. Native to India, you can now find moringa growing throughout Central and South America, Africa, Asia, and Mexico. Requiring little water, it’s said to be a key crop for fighting malnutrition because of its combined nutritional and drought resistant properties. While many crops in the developing world (and elsewhere) require large amounts of water, often through irrigation, to produce food, the ever-resilient moringa can survive in poor soil off rainwater alone. In fact, moringa grows like a weed in hot and dry climates, springing up at least a foot each year but often upwards of 10 to 20 feet in just one year. Convinced you need to give Moringa a try? 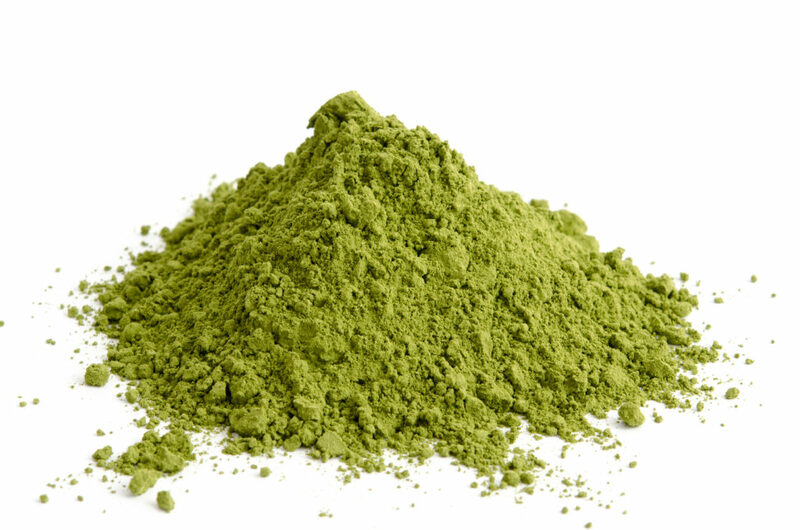 Search online or in a healthfood store for moringa powder—a ground version of the plant’s nutritionally dense leaves. You can dissolve it in water, sprinkle it over yogurt, or add it to smoothies. Keep your eye out for it as a booster option in your local smoothie or juice shop, too. If you’re known to make a habit of socially conscious shopping, you’ll be pleased to know that some companies selling moringa in the U.S. pack a double punch, with portions of sales benefiting moringa farming cooperatives in developing countries. Should you can can get your hands on the whole version of the plant (often grown overseas), fresh moringa can be cooked in soups and stews, used as a salad garnish, or ground into a pesto.